Laura Bell Bundy began her acting career at the early age of fourteen and has only gone up from there. She played her first role in the megahit Jumanji, and now is a renowned figure in both the music and film industries. Bundy, a proud Kentuckian born and raised in the heart of Lexington has produced numerous country hits such as Giddy On Up, and Drop on By. Besides her amazing voice and acclaimed career as a country music singer, Laura was also a Broadway star for many years, playing the starring role in the hit show, Legally Blonde. Recently, Laura has played starring roles in hit TV shows like Anger Management and Hart of Dixie. 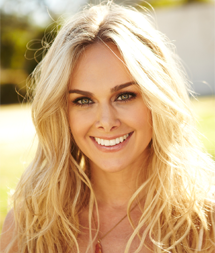 Follow Bundy on Twitter @LauraBellBundy or visit www.laurabellbundy.com.